Manuel's Steakhouse is fine steakhouse dining in our Del Rio, Texas restaurant. Manuel's Steakhouse specializes in Steaks and Seafood. You will love the classy atmosphere and friendly staff. VIP service in the bar and dining room is the perfect compliment to our steaks. 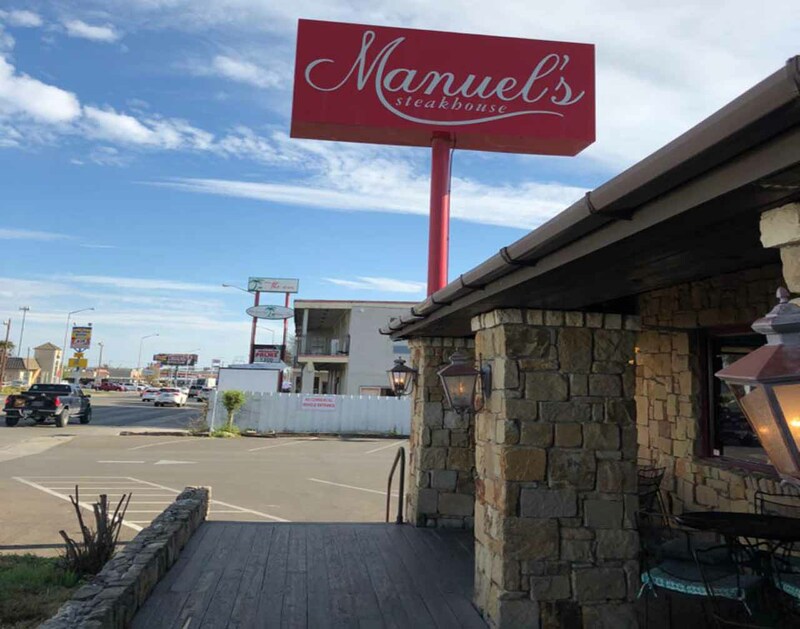 T-Bone, NY Strip, Angus Rib-Eye, Filet Mignon, or a specialty steak are all great steak options at Manuel's Steakhouse in Del Rio, Texas. We are located in the heart of Del Rio. Call for to go orders if you can't visit us in our restaurant. Our family, owners and managers have been in the restaurant business all their lives in the Del Rio, Texas area. Our tradition of quality has never changed. Manuel's Steakhouse is known for steaks and seafood, but we also serve Mexican food, and specialties like quail, cabrito and lobster. Manuel's steaks are delicious and a great value. If you love a great steak in a clean upscale restaurant, you will LOVE Manuel's Steakhouse. Del Rio, Texas is truly "The Best of the Border" and Manuel's Steakhouse is the finest steakhouse in Del Rio.